Phil and Mike will be doing 6 songs at the fabulous acoustic cafe at Gorse Hill Church, Wesley Street , Stretford, M32 0GL on Monday 27th Feb. Doors open 7:30. There will be 4 great acoustic acts on. All for just £3 on the door. Map. Lovely boozer the billy goat and a great atmosphere for the open mic night last night. 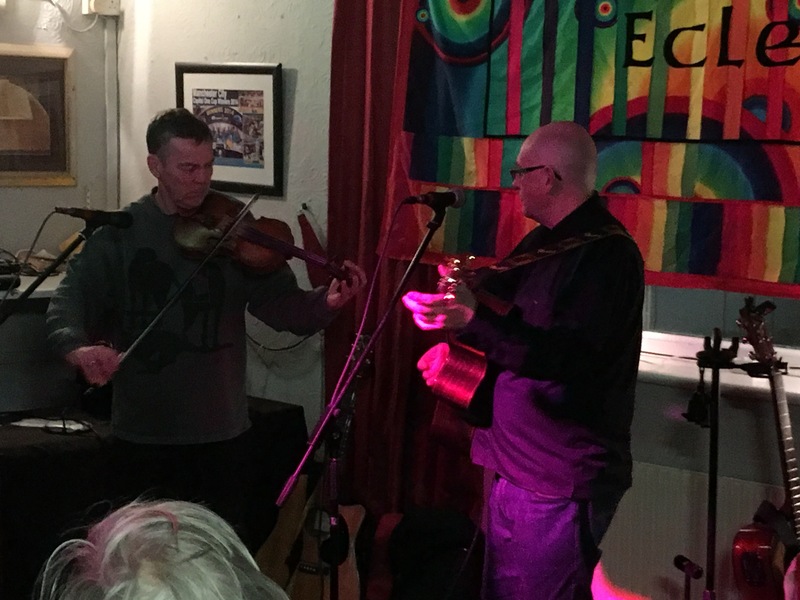 Wiz Mossley’s assembled crew of poets, singers and musicians played to an appreciative and respectful audience and the evening was topped off by the excellent sounds of singer songwriter Chris Turner accompanied on violin by Dave King. 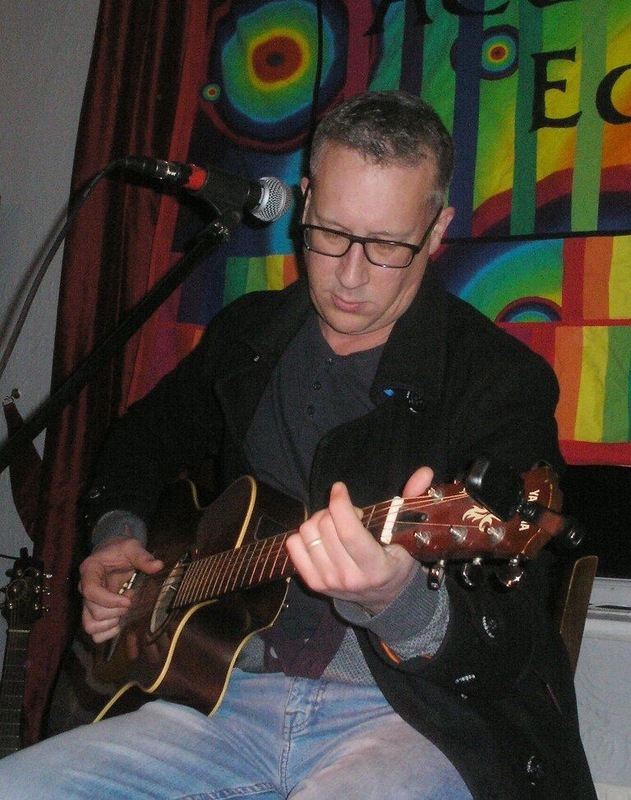 Aiming to expand the set of tunes I can do solo I tried a new one called well informed, which together with into the blue and goodnight sweetheart made up my 3. Free food by the way. Sausage casserole and some nice butties! One too many cheese butties caused me to fall asleep during one of my own tunes and for me to develop 3 extra chins apparently. The story of Irene Nemirovsky. About not blaming those alive today for the sins of those gone before. It was the other 3. Feeling much more relaxed. It makes it sound better I think. No overdubs, no added bells or whistles, all done in one take. Please listen and leave your comments. Wayne is playing the Kajon or Cajon on this version. So we put a new beginning on it. Don’t worry every single breath remains. A song of 3 halves. As good as we can get it for now! An older set of lyrics which probably don’t fit the mood of the music but they do seem to scan nicely. The mood of the music changed when Mike (thinking he could master Spanish guitar in one afternoon) watched a youtube video.